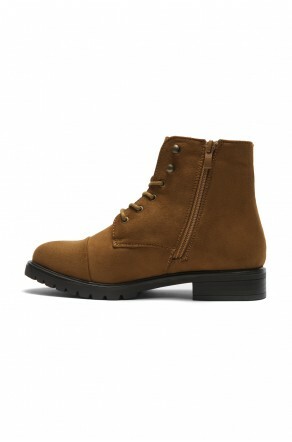 Women's Cognac Sayddy Combat Riding Lug Ankle Boots. I am so thrilled when i received the delivery! The size fits perfectly and the insole is sooo comfy! Good catch for a fantastic gladiator at this price! Recommended! I like it!